My training plan has me run Tuesday, Wednesday, Thursday. 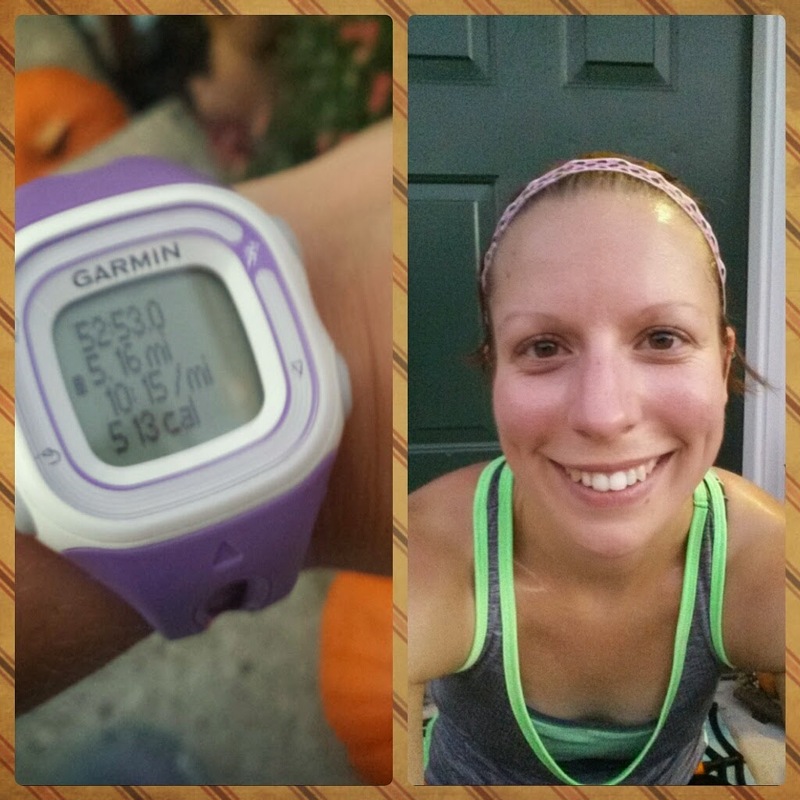 Most weeks I haven't done this, but still ran most of my mileage just in 2 days. With the daylight getting SO short, this isn't an option. Weekday runs will soon be down to very little anyway and hopefully won't bother me quite as much. So how did this week go? Tuesday was AWESOME. The weather was incredible and I felt like a dog when the gate is left open. I tried out a route I mapped out last week and never ended up using due to a headache and total energy drain. It turned out to be a pretty nice route with few stops because of traffic. 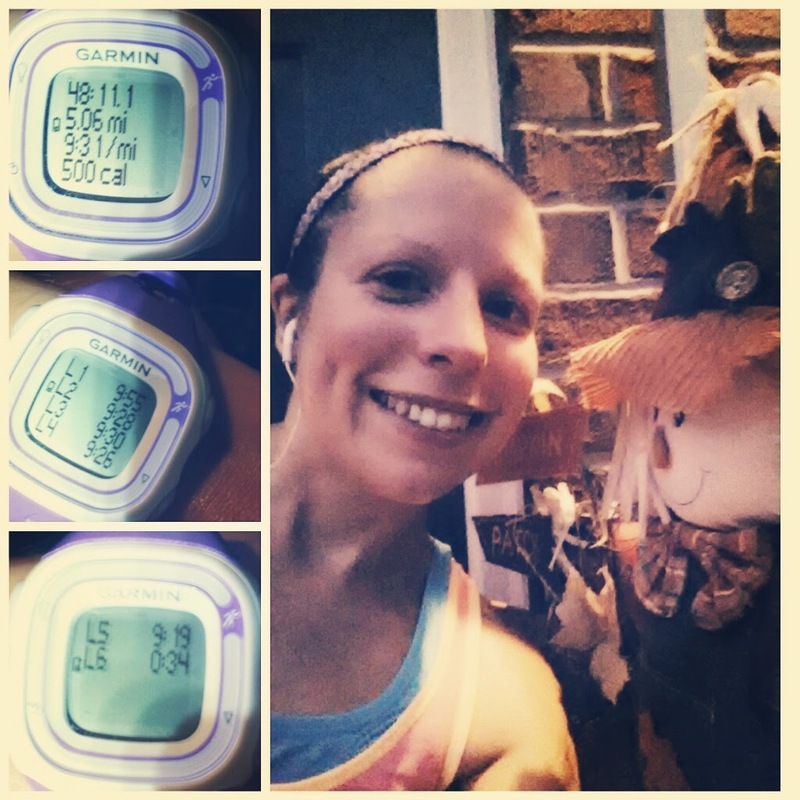 I had some awesome splits and even though I felt like I slowed down a few times, I never did. Look at those glorious splits!! ooooh they are so negative!! Wednesday went downhill a little. Another day, another 5 miles, another route. Not nearly as effortless as Tuesday. My legs really felt pretty heavy, but I celebrated for getting ALL THE WAY up a pretty challenging hill. Sometimes I have to stop at the top of the first section, but Wednesday I just kept going. Slow and steady. Thursday was the slowest yet. I wasn't in a huge rush to get it done but I definitely didn't plan to have quite as slow of a run. Either way, it happened. Either way, I still ran 5 miles. I ran to Negley Park and running the short steep hills was liberating and freeing. After that, I pretty much lost it. My old stress fracture point started to feel irritated and I lost my groove. Again, I finished my run and that's enough to celebrate in itself. Today is a rest day and I won't get to my long run until Sunday in order to spend time with my sister and family on Saturday. I think the weather will be nicer anyway which is a plus since I will likely be running 19-20 on my own. How did your week go?? What are your running plans for the weekend?